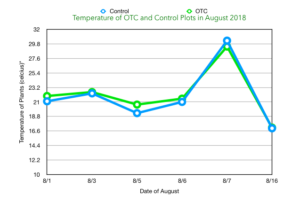 Renee and Alex Amado had an OTC at their house over the summer and used it to compare phenological events of lilies in a warming chamber versus a control plot. 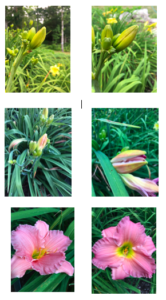 They collected daily observations, took daily temperature readings and photographed the lilies in both plots. 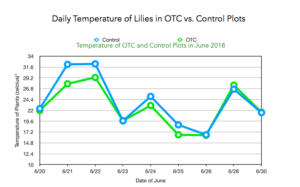 The dates of flower set and first blooming were earlier in the OTC than in the control plot. 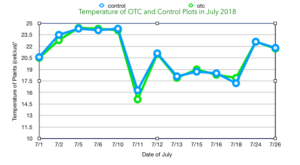 In contrast, the date of last bloom was earlier in the control plot than in the OTC.